I have to admit it. I am a sucker for a Frosty. There is just something about that chocolate goodness that I have a hard time saying no to. I don’t eat much sugar, but I love a Frosty. In an effort in the new year to clean up our diets even more, we have sworn off the drive thru and any extra sugar. I needed to replace my favorite treat and I found a way that is delicious, has fewer calories and the added benefit of vitamins! Sounds like a win all around. Put the milk, frozen yogurt and Nesquik into your blender and blend until everything is nice and creamy. Add a straw and you have a delicious drink. 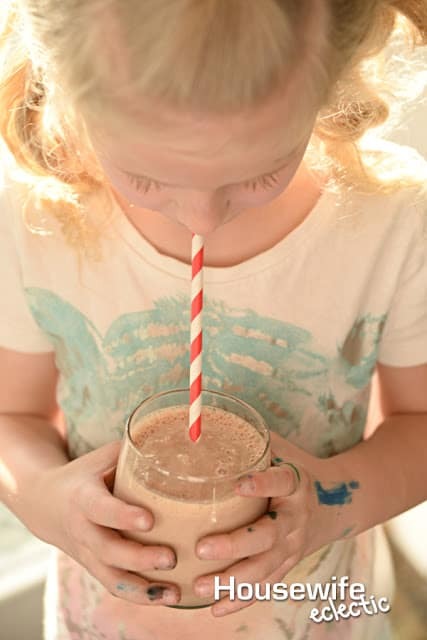 My girls beg me to make these for them almost every day and I feel way better about them drinking these homemade drinks than other chocolate drink. Nesquik has 7 essential vitamins and minerals, no artifical colors or flavors and 45% less sugar than the leading syrup brand. We not only use Nesquik in our treats, but we love using the 8 oz bottles of Nesquik for soccer team snacks. 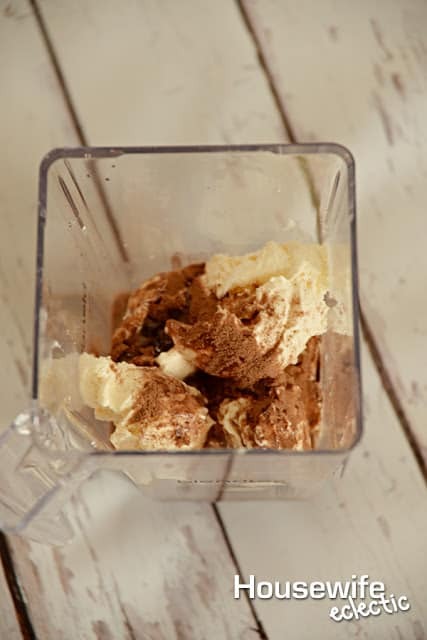 Research suggests that Nesquik has the ideal balance of carbs and protein 3:1, to help refuel and restore exhausted muscles, making it the perfect snack after you little one plays their hardest. When I was editing pictures for this post, I was ready to Photoshop this image of my 7-year-old. I wasn’t sure I wanted her marker covered artist hands to feature so prominently and then I realized something. This is our real life. This is what our afternoons look like, my little artist drawing to her hearts content and then asking for a snack. A chocolate snack to be exact, which is when we pull out the blender and the Nesquik. This is what some of our afternoons look like, and I wouldn’t change it for anything. What is your kids favorite after school snack? 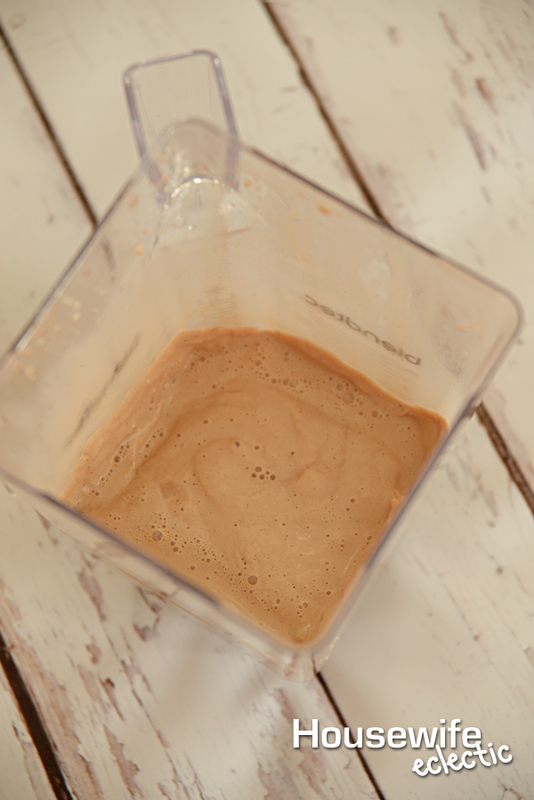 Check out the Nesquik Pinterest Page for more idea. My kids LOVE frappes, so I am sure these would be a big hit with them. Oh my god yes Nesquick is the best I have so many happy childhood memories with it. I would love to try this recipe out but I think I would fail spectacularly lol! Yum, these look so good! Love that they're so simple and few ingredients, too. 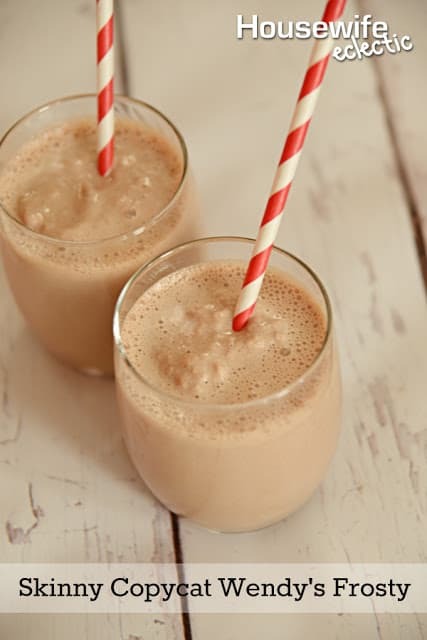 Sometimes smoothies/milkshakes have so many ingredients that I end up thinking it's so much easier to just go buy the real thing, but this is totally quick and simple. I can't wait for the weather to warm up so I can give this a try. I might even try out a ttrawberry version. Yes! I NEED this recipe in my life. As a child, I used to frequent Wendy's just for their Frosty's. I'll definitely have to try this copycat version! Can you believe I've never eaten a wendy's frosty? I'm probably in the minority. Great way to healthify! Mouth is watering. Thanks for the recipe. How easy is that?! This may be a regular summer sweet treat in the upcoming months. My favorite snack is cheese and crackers. Your drink looks so good and this might be my new snack. This is a lovely snapshot of life, from the 3-ingredient recipe (easy and delicious-looking! ), to your daughter's marker-covered hands. 😀 I think it's adorable~ <3 Fun! This could be very dangerous knowledge, lol! 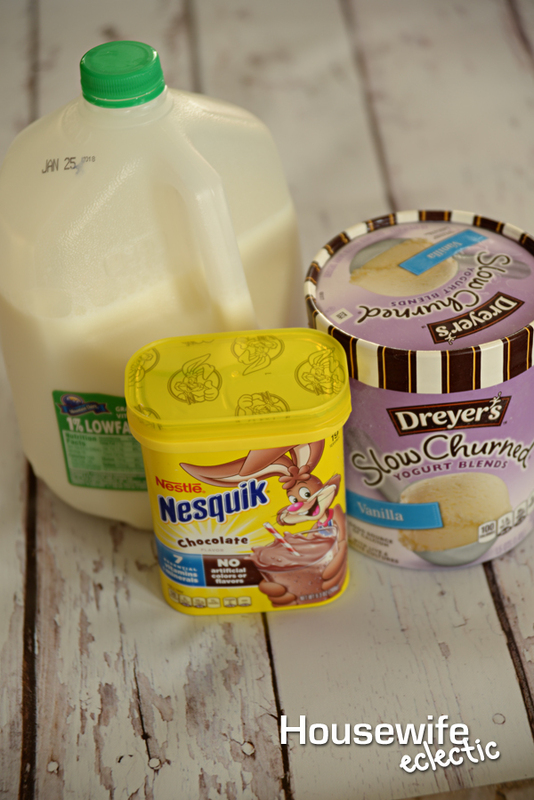 I don't keep mixes like Nesquick in the house, though I suppose unsweetened cocoa could be used for a dark chocolate "Frosty," the froyo being plenty sweet enough for both. My kids and husband would love this. They LOVE frostys. They even dip their fries in them LOL. Extra healthy aren't they. What a fun idea. My kids love Frostys but I've never considered making them myself. I have never had a Wendy's Frosty, but this looks awesome! I used to work at an ice cream shop and I would love to make black and white milk shakes, which were vanilla ice cream with chocolate syrup – yum! This post made my heart happy! I grew up on Wendy's Frosty's. I can't wait to make them for my daughter at home. This looks so good! The girls love Wendy's Frosty. I can't wait to try this. Delicious and healthy! Well… healthier than most desserts! haha. Ooooo this sounds absolutely delicious!!! I just love a good frosty! Need to make one at home next time I have a craving! Dreyers is called Edy's here, and I love their Slow Churned line of ice creams and yogurts. So good. I need to try this recipe! A frosty is always a good idea- I can't wait to try this! Pinning! My mom LOVES Wendy's frostys! I will have to make these as a surprise one night. Thanks for linking up at delicious dishes recipe party! I love frostys but never thought of making my own. Great idea. Looks delicious! My kids would love this! 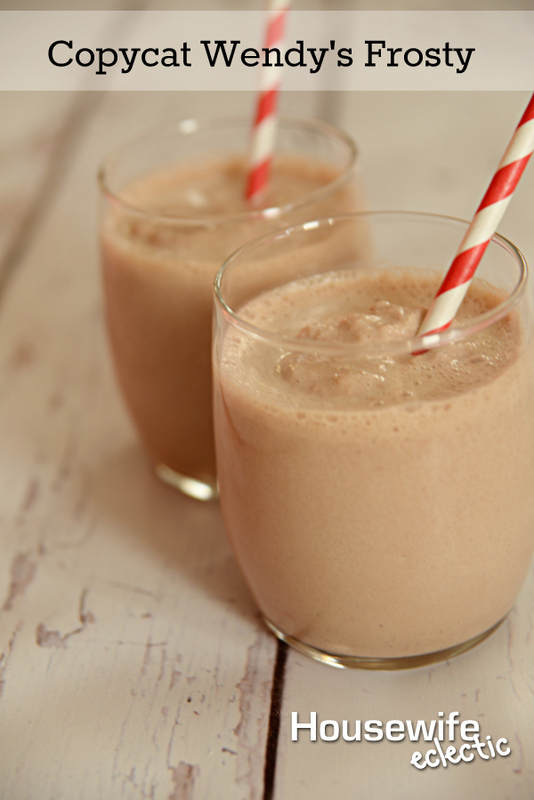 Thanks for sharing this recipe at Motivation Monday on Mom Home Guide! Your recipe is featured this week! I need to try this out for my husband. He loves Frosty's! Oh yum! My daughter will love this recipe! Thanks for linking up to Merry Monday! Sharing on FB! Have a great week!